Having been well preserved for nearly 70 years, this 1899 home, overlooking a lake in the heart of the city, was looking for a fresh 21st century update. 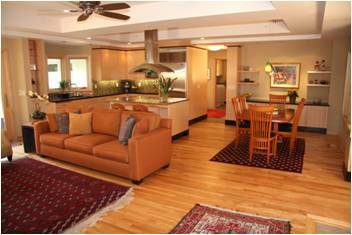 While the owners loved the house, they saw lots of potential to make things just perfect. The whole-house renovation features a super-green design for modern living balanced with a strong respect for the history and character of the home. All of the mechanical, electrical and plumbing systems are new. All siding and sheathing was removed and replaced, allowing new foam insulation to be applied from the exterior, thus preserving select interior finishes. Almost all of the spaces in the house were remodeled in some way—taking a great house and making it better. Two existing areas received special focus: the kitchen and central stair. The owners are gourmet chefs who do a lot of entertaining. A small but strategic kitchen addition allows an expanded and modernized kitchen with every amenity and expansive views of the lake and side yard. A new southeast-facing breakfast nook provides a cozy alternative to the remodeled historic dining room. was demolished, roof reframed and center hall topped with a large skylight spilling light all the way down to the main floor. A new outbuilding was constructed to house the owner’s workshop and a new 2-car garage. This “carriage house,” which is designed to echo the historic proportions and detailing of the main house, is linked to the house through a tunnel beneath the yard. A welcoming, open front porch was built with lake views and a low-slope green roof. • Energy efficiency. The building envelope was made airtight and reinsulated to Energy Star levels; all windows are reconditioned or new. • Healthy Air. Energy Recovery Ventilator provides fresh air exchange while saving energy. Low/No VOC paints throughout. Radon capture system installed beneath basement slab. New cladding with rainscreen detailing helps prevents mold from moisture intrusion. To learn more about this project and Design Forty Five please visit us at www.designfortyfive.com. 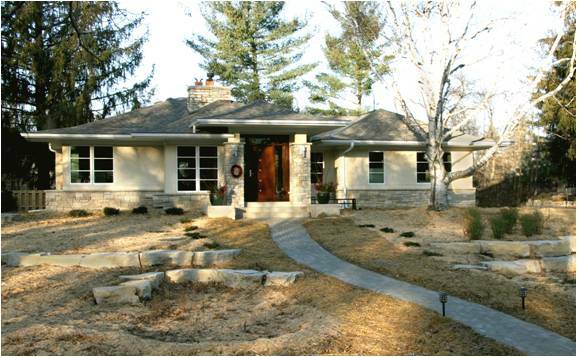 The purpose of this project was to update a 1913 Federal meets Prairie style home in Minnesota. The home suffered from poor flow and a lack of bedrooms and bathrooms. The kitchen had been remodeled in the 80’s to an all-white melamine which didn’t match anything in the house and was cramped and confining. The homeowner wanted to be respectful of the original architecture and period of the home while adding some personal elements to the home. Design that accommodated both family living and gatherings of friends was a requirement. An addition was placed on the back of the home on both floors to resolve the home’s many flow issues. It houses the new library, kitchen, bedroom, and yoga-room. It is now possible to circumambulate the home on both floors which greatly enhances the rhythm of the space both on the interior and the exterior. A new metal roof, sand-float finish traditional stucco, rain-barrels, and extensive landscaping make the exterior of this home as classy as the interior. The lines of the addition greatly enhance the architecture of the home and the lines of the patio create natural flow around the home. The home is now heated with a geothermal system, captures 40% of the stormwater from the roof for use in irrigation, and achieves a 95+% stormwater retention on site. Plantings are all drought tolerant or native, and the grass is a no-mow blend that needs little to no irrigation or mowing. All of the finishes were low or no VOC. Furnishings and fabrics are made from 100% organic or 100% recycled materials and are low VOC. Furniture is made using FSC certified wood, and many materials including doors, countertops, flooring, millwork and the entire patio were made from salvaged materials. For more information on this project visit www.otogawa-anschel.com. This family was growing. 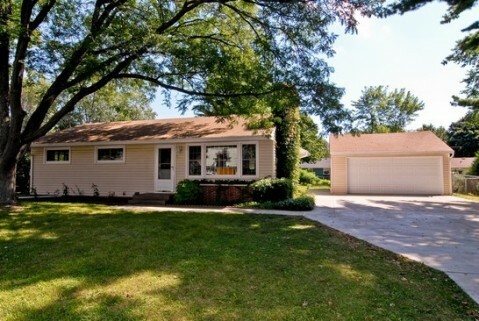 They had a small turn of the century home in the Macalister Groveland neighborhood of St. Paul. They enjoyed their neighbors, were walking distance from their church and local shops. They didn’t want to move, but could no longer squeeze into their 2 bedroom 1 bath house – especially with a 2nd baby on the way. Initial design discussions were focused on listening to the client and understanding their needs and desires. After many design iterations, we landed on a perfect fit. We proposed enlarging their home while optimizing space to accommodate their growing family which allowed them to stay in the neighborhood they loved. Nearing the close of design, Rinnovare learned about the MN GreenStar pilot program just being released. After talking with the client, they supported green, wanted to learn more, but could not afford to pay a premium to the total project for any green upgrades. Rinnovare accepted the challenge and modified the design, specs and methods to build green and to meet the existing budget. To Rinnovare’s credit, many of its standard building practices had green attributes – spray foam insulation, protecting the site during excavation, hydronic radiant heat and others. But thanks to MN GreenStar, many more practices were learned and shared with not only the client, but it’s partnership of subcontractors. Things like caulking top plates before drywall, creating a waste management plan, using low VOC paint, low flow faucets, reclaimed doors, countertop remnants and pre-finished North American hardwood flooring, extensive use of informal passive cooling and thorough project documentation became new standards of performance. The end result was a Bronze certified addition, that exceeded the clients expectations, met the original budget and provided a healthy and energy efficient home for years to come. By Mike Williams, Rinnovare Inc.
For more information on this project visit www.rinnovareinc.com. For more information on this project visit www.building-arts.net. The new plan opens itself to the beautiful 2 acre lot, focusing attention to the outdoor spaces and pool. A gorgeous new kitchen and great room feature exceptional cabinetry design details. Stroll through the piano room, complete with wine chillers, to the spa-like master retreat, with its nearby gym added over the existing garage. For more info about this project visit our website at www.lakecountrybuilders.com. 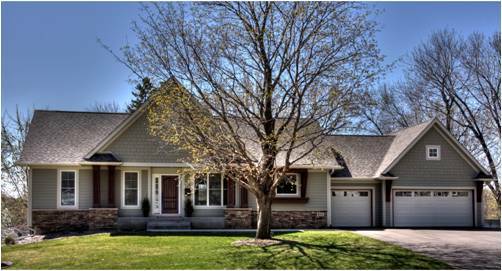 This project was initiated by the City of White Bear Lake to demonstrate how a 1950’s single-family rambler-type residence can be modernized to the way many people want live today. 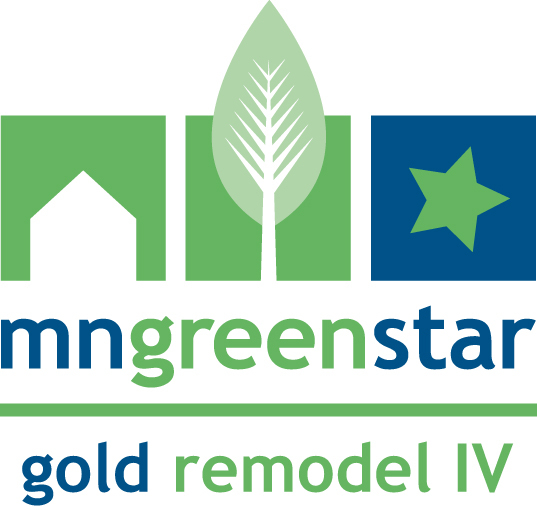 The City decided that GreenStar certification would be the best way to emphasize and educate the public about green remodeling practices. It was a way for the city to demonstrate their commitment to quality and to show that certification can be achieved even on a tight budget. The rambler was a logical housing style choice for this project as more than one-third of the City’s single-family housing stock is comprised of rambler-style homes. 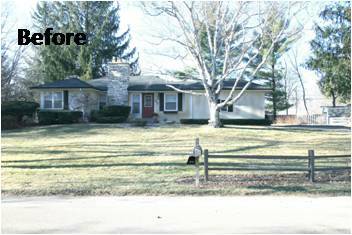 The property included a 973 square foot home with a two-car detached garage. 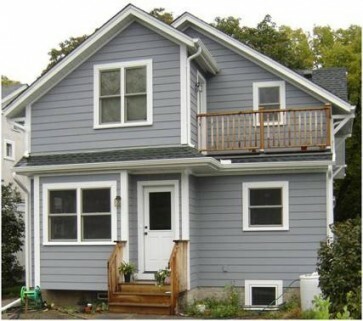 The home had a great envelope: newer windows, a decent roof and siding in good shape. This allowed the team to focus their attention on the interior of the home. The City worked with Rust Architects to design a new layout which opened up the common areas of the home by removing the stairway walls to create a spacious great room feel; building a new 165-square foot kitchen and mud-room addition; and reconfiguring the main floor bedrooms to create a true master bedroom. A bedroom was added downstairs to compensate for the one lost upstairs, so that the home remained a 3-bed/1-bath. 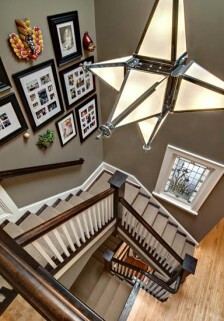 Many energy improvements were made throughout the home. After new insulation in the attic and the basement, all new mechanicals, appliances and fixtures. 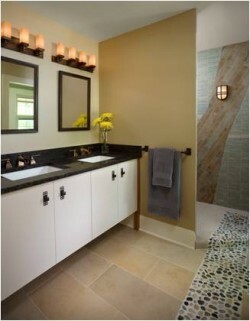 The staff estimates that the home is now 30% less leaky and energy costs are reduced by about $700 per year. The intent of the project was primarily economic. Not only was an investment made in a particular house and therefore in a particular neighborhood, the city used a local architect, a local general contractor and some of the subcontractors were local as well. The larger intent was to inspire reinvestment and revitalization of an aging housing stock. The hope was that the project can be replicated, to some degree, by young families wanting to relocate to White Bear Lake. The project was meant to demonstrate how to bridge the gap between first-time homebuyer’s dreams of owning a new home and the realistic attainability of owning an older, more affordable home. The City hopes that most people will be inspired by at least one idea from this project and also that residents and City staff have learned about green remodeling as well as the true cost of various home improvement projects. Contact Jane Bacchus Ray for information. 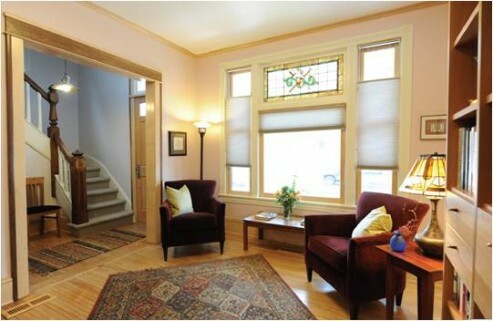 This South Minneapolis homeowner came to Heritage Builders, Inc. with a vision to expand and remodel the house left to him by his parents, using sustainable and locally sourced materials, converting the household mechanicals to energy efficient systems, and conserving or recycling materials wherever possible. A Waste Management Plan to deal with all refuse. For more information on this project visit www.heritagebldrs.com. Live Green, Live Smart’s The Sustainable House TM is a participant in Minnesota GreenStar’s Remodeling pilot program and the LEED for Homes Pilot ProjectTM. Live Green, Live Smart has transformed an ordinary post-War rambler in a suburban neighborhood into a Century hour that will be energy efficient, environmentally healthy, respectful of the natural environment, and comfortable for family life as climate and energy resources alter in the coming decades. The green building materials and techniques as applied to the House are less conspicuous than alternative energy sources, but no less important to our Platinum remodel. Efficient insulation and an air transfer system ensure that none of the heat or cold generated goes to waste, and that the air inside the home stays clean and breathable. Solatubes provide natural sunlight all day long, even in the basement, reducing electricity needs. Every lightbulb in the house is an energy-efficient compact fluorescent or LED. 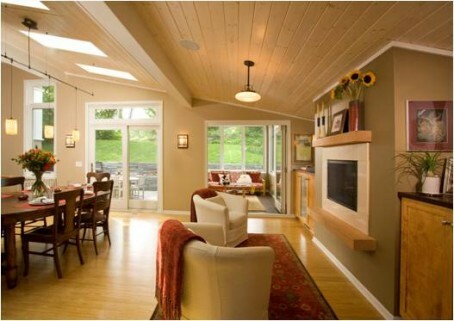 Low-voltage radiant in-floor heating is an efficient way to reduce furnace needs. Greywater is collected from the showers for reuse in the double-flush toilets. Windows are triple-glazed and argon-filled to reduce heat transfer. 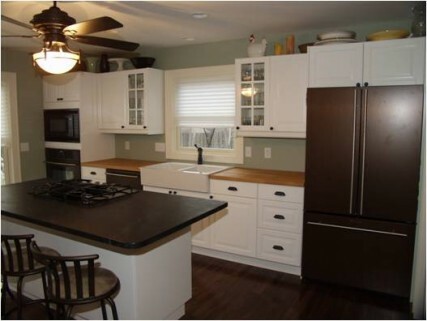 Appliances are EnergyStar rated, and an induction stove is used for cooking. All electrical energy purchased from the grid is the product of windfarming – no coal-fueled energy will be used in the House. For more information on this project visit http://livegreenlivesmart.org. For more information on this project visit www.moconstruction.com.